A couple of dogs named after Meghan Markle and Prince Harry have had their own wonderful wedding in Scotland. 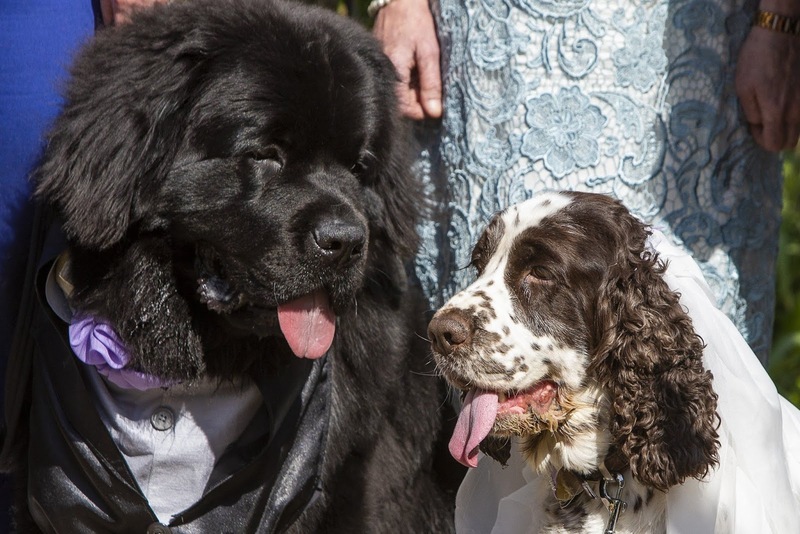 Maeghan, a springer spaniel, and Prince Harry, a Newfoundland puppy got hitched at a special doggy ceremony in the village of Leslie, Fife. The dog couple enjoyed a furry-tail wedding at Harry’s owners’- Andrea Johnston, 64, and her daughter Stacey Kilpatrick, 30 – back garden. Helen Teevan, a 50-year-old woman is the owner of Maeghan. Both dogs met after Stacey and Andrea put out a search for a partner for Harry, after worrying that he might be a bit lonely. He’d had a major surgery on his cruciate ligament, and his owners thought life was too short and went on the hunt for his own princess. After finding Harry online, Helen put her dog, Maeghan, forward, thinking the pair would be ideal together – and they were. Soon after meeting, all three owners came together to start planning the royal dog wedding. Helen said: ‘When we heard that Harry was searching for his Meghan we thought it would be a bit of a laugh and so put our gorgeous girl forward. Last year, the royalist owners of Harry were sent best wishes from Kensington Palace and his human namesake when they wrote to inform them of the motivation behind his name last year. The owner could not hold her excitement over the dog equivalent of this weekend’s big wedding. Elaine Warburton, of dog Holiday Company Barking Mad, helped hook the two dogs up.